Hossam Ramzy Baladi – the heart and soul of Egyptian dance. We have had our arts influenced by all the empires who invaded us along the millennia since eternity. But there is one thing they have not managed to do and that is our dancing. This is what comes out of our Egyptian hearts in moments of happiness and excitement. This is what the Egyptian women do naturally. They translate the music in its purest form. Baladi is earth; Baladi is feminine and Baladi holds all the innocence of the countryside folk while it is laced with the lure of the ghetto. 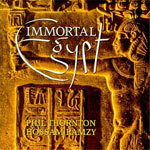 Created & Produced by Hossam Ramzy, The Sultan Of Swing. Mohamed Saeed – Keyboards, Bass, Mizmar & Strings. This album was funded by you who pledged to pre-order your copies in advance of everyone else. I hereby thank you from the depths of my heart and acknowledge you all for your wonderful contribution. This album would not have seen daylight if it was not for your LOVE and belief in me and for your generosity and support. I want to thank you all for giving me the help and support to create this magical music for you. “This album was a dream I had for years. I wanted to create a collection of Baladi compositions that a dancer can use in any performance, show, competition or in a workshop or class that she teaches. Like both my classical albums “FADDAH” & “RUBY” on the ARC Music Label where I was creating compositions that you can just hand over at any show and choose to dance any of the songs, and you will find yourself dancing to one of the very best classical compositions. 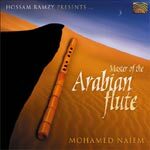 This album, “EL BERENCESA”, “The Princess” achieved the same status for any Baladi performances. For years, I have been studying and perfecting the art of teaching how to dance the BALADI, even when most “belly dance teachers” worldwide had never even heard of it. Baladi is a magnificent form of art on which I have written many articles such as “Zeinab”. Please feel free to read and study it carefully. I will be very happy to advise you and guide you about the art of BALADI in lessons, classes and workshops. The music we composed and recorded in “EL BERENCESA” depicts and portrays the inner heart and inner soul of the Egyptian woman and if you ask me, I feel the true femininity of the Egyptian ladies who are beautiful, powerful and elegant and the creators of the future of our nation. This album was created with YOU, the dancer in mind. Your new album is completely mind blowing!!! All musics are gorgeous!!! Every one has some characteristic that makes It unique and lovely, like the ney and the harmony. It’s for sure performed by genious musicians, and the percussion is flawless, the saks you made are candy for the ears!!! There are so many layers on the music only someone with your talent and knowledge could do! To sum up only a King could make a princess like you did! Congratulations, dear friend, El Berencesa and you are the best! 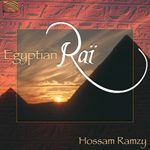 Another absolutely fabulous cd from the greatest belly dance musician Hozzam Ramzy, completely spellbound by the fabulous dance rythmns, just makes you want to get up and dance. Wonderful.